Should I stay, or should I go? That’s the question for most law firms in the UK have been asking themselves after Brexit. Yet while some UK firms rush to register elsewhere, such as Ireland, to ease the impact of the decision to leave the European Union, for many foreign firms London is still calling. In July 2017, Shanghai-based firm Llinks, one of China’s Top 30 law firms by revenue, opened an office in London, making it the third PRC firm to have a base in the UK, following King & Wood Mallesons and Zhong Lun. Several other firms, including Yingke and Zhonglun W&D, have established strategic alliances with UK firms. Also, that month, Dentons entered Scotland merging with law firm Maclay Murray & Spens. The Scottish law firm's tie-up with one of the world's largest law companies is expected to be completed later in 2017, and once it does, MMS will take on the Dentons brand. What’s more, German law firm GLNS will set up the new office in London in September 2017. It is the first overseas office for the Munich based firm, which wants to appeal hedge funds and shareholder activists as Brexit looms. Resident Partner Yuhua Yang of Llinks’ new London office said, Brexit hasn’t affected the firm’s decision to expand in London, and in fact has made a stronger argument for the firm to be here. 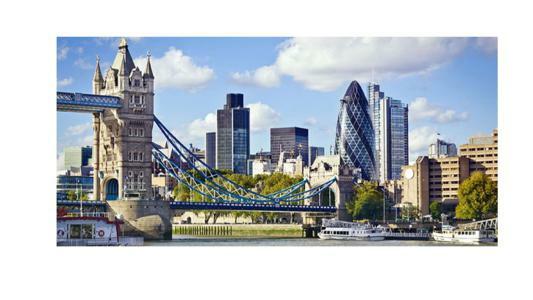 “London has the best infrastructure and talent for the financial and legal services industry. In the long run, Brexit may affect things, but in the short term the depreciating pound presents good investment opportunities for Chinese companies. In addition, clients are feeling positive about us having a base in the UK now, as we will be much closer to the markets here and have a better understanding of the Brexit process and its implications.” said Yang. In addition, the Shanghai-London Stock Connect will make London a more important market for many of its banking, financial services, securities firms and funds clients. The exchange was proposed by the Chinese and UK governments in 2015 to boost cross-border trade links by using a system of specially designated brokers to enable Chinese investors to buy and sell shares listed on the UK bourse outside of its trading house. For many international real estate investors, London is no longer the target, some buyers used 'Brexit clauses' to drop UK commercial property deals. But one group of investors is proving markedly less pessimistic: buyers from China. This group has continued to snap up trophy assets in the City of London and the West End, largely undeterred by Brexit, according to the Financial Times newspaper. Since the referendum in June 2016, investors have been taking advantage of the weak sterling to buy British property. In November 2016, 20 Moorgate in the City of London was acquired by Hong Kong-based investor Asian Growth Properties for £154m, while in December 2016, Lee Kum Kee, the soy sauce manufacturer, bought an office building in the Isle of Dogs, and Beijing Capital Development Holdings, a state-owned group, offered more than £200m for 30 Crown Place, the City headquarters of the law firm Pinsent Masons. China has become the biggest foreign investor country in British property, with total amount of £923m, followed by Germany £663m and USA £405m，according to the Property Data Report Q1 2017.